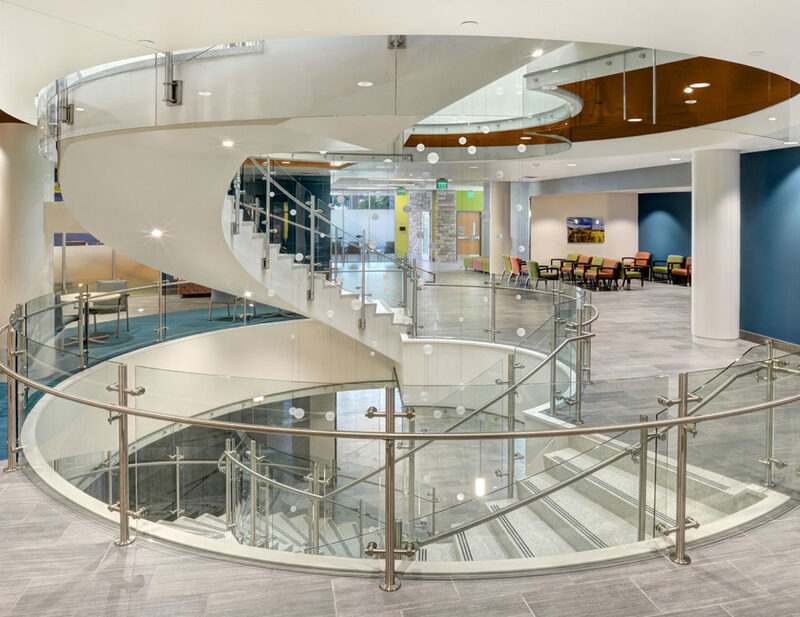 Using Technology, Expertise and Imagination to Create A Staircase That’s Its Own Work of Art | Trex Commercial Products, Inc.
Colorado State University recently opened the doors to its brand new, state-of-the-art medical center – a $59 million, 113,000-square-foot facility that consolidates the university’s medical offerings into one building for students, faculty, staff and community members. 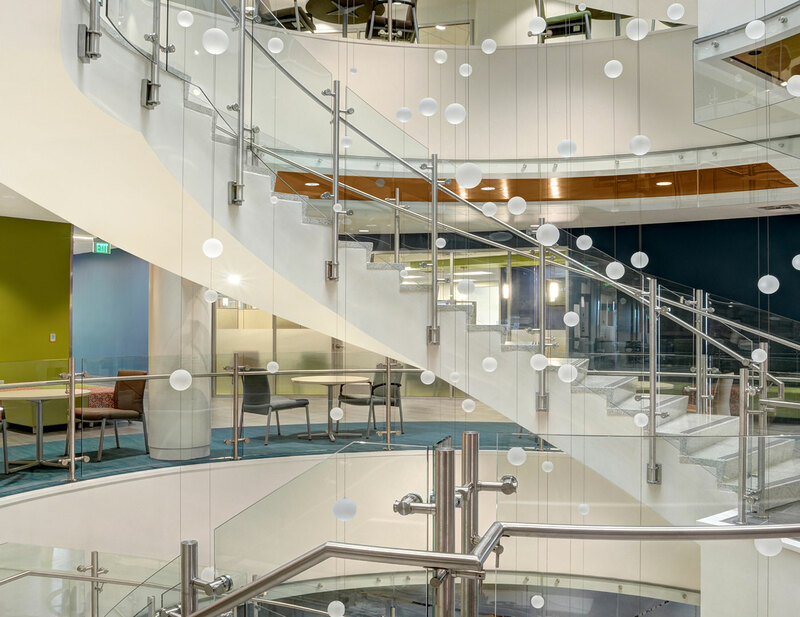 Trex Commercial Products’ Equinox™ glass railing provides the perfect accompaniment to the building’s circular staircase and overlooks without distracting from the distinctive architectural details and cascading art installation. 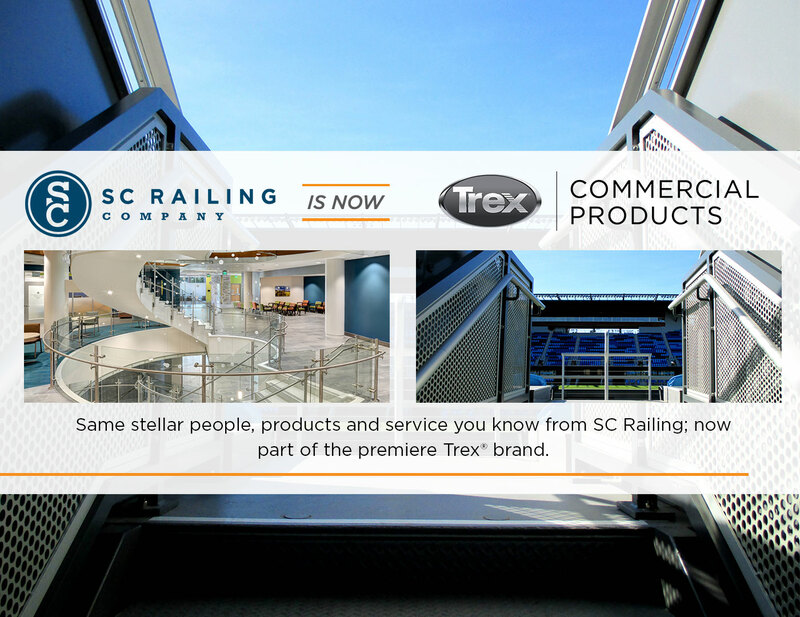 When the original railing supplier was unable to complete the work just as the project was 90 percent complete – threatening to “derail” the project and throw off the construction timeline – Trex Commercial Products took over. 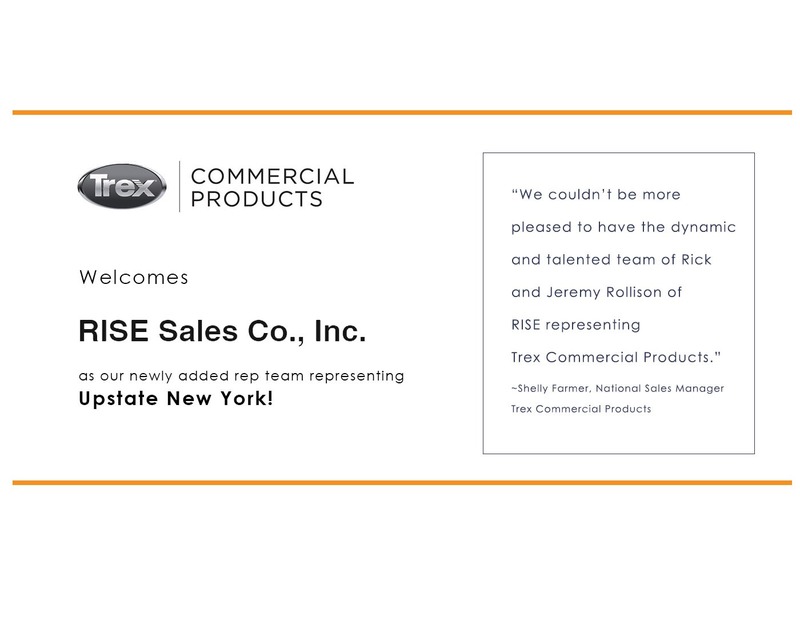 Given the compressed schedule, and complexity of the work, Trex Commercial Products recommended using a 3-D laser scanning system to design and produce the remaining railing, integrating it seamlessly with the existing work. Known as High Definition Surveying (HDS) or Reality Capture, the process used a 3-D scanner tool to produce high accuracy mapping of the project’s design and geometry. Two-to-three scans were taken of each floor, and the collected data points were then turned into a “point cloud” file with extremely accurate dimensions. Working from this, Trex Commercial Products created submittal drawings off of the project scan, eliminating the need for field dimensioning post-architectural approval. In fact, the 3-D scanning proved so effective that there were zero dimensional remakes done on site – saving both time and the cost of fabrication rework. 3-D laser scanning provided Trex Commercial Products with accurate dimensions leading to swifter and easier installation. With Trex Commercial Products’ expertise, Colorado State University was able to complete the center as planned. The end result, accomplished with 720 combined linear feet of Trex Commercial Products’ Equinox stainless steel and glass railing, and Point supported smoke baffle offers abounding views and allows unfiltered light to fill the space. 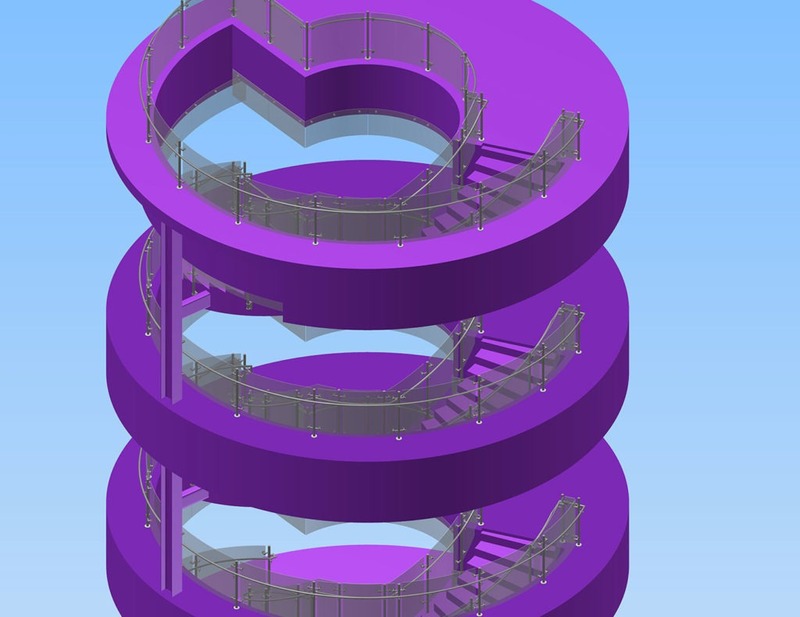 The circular staircase features a fascia-mounted railing application, whereas a top-mounted installation was chosen for accompanying overlooks. The fascia-mounted system is facilitated by attaching a standard 4”x 6” stainless steel mounting plate to a steel weld block by two drilled-and-tapped holes. The block was then welded directly to the stair stringer. The top-mounted Equinox glass railing system has railing posts, along with steel post insert material, embedded into core-drilled holes in the concrete, which are covered by stainless steel escutcheon plates. And what better way to provide a clear view than with ½” monolithic, fully tempered glass. Now open, CSU’s medical center provides a much-needed central facility for health and well-being, benefitting the entire campus community. Click Here to see more photos of the Colorado State University Health and Medical Center Project!